Emmanuel Christian Academy students’ intellectual growth comes through our challenging and comprehensive curriculum. Spiritual growth comes through biblical study. 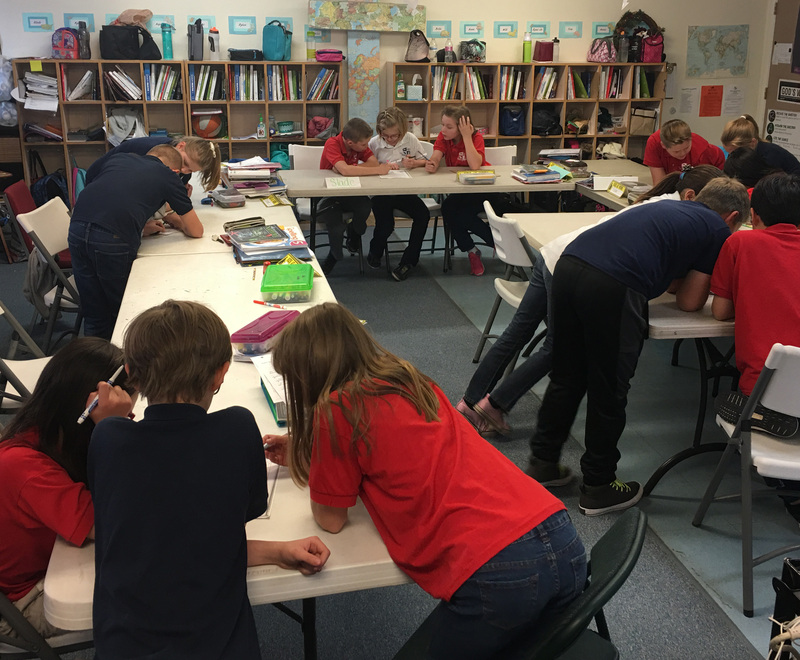 We challenge our students to think critically and biblically and our goal is for ECA students to be immersed in our curriculum creating a solid academic and spiritual foundation. Following is a list of the curriculum providers for our ECA students. Bible is viewed as a core subject at ECA. Every student receives formal Bible instruction daily, while biblical precepts are integrated into every fact of life at our school. Abeka supplies schools with outstanding curriculum, textbooks, and support materials. Their experienced writers and researchers conduct primary research in their fields to provide students with superior knowledge. Coordinating teacher materials assist teachers in presenting lessons that are lively and memorable. BJU Press publishes Christian school curriculum and distance learning that seamlessly integrates biblical truth with academic excellence to help students develop the critical thinking skills and love of learning they need for their Christian lives. Purposeful Design Publications is the publishing division of the Association of Christian Schools International works to enable Christian educators and schools worldwide to effectively prepare students for life through textbooks, trade books, and other educational resources that reflect Christian scholarship and stewardship to address identified needs of Christian schools around the world. While other math curriculum asks students to progress from simple to complex concepts in just a few weeks, Saxon Math™ scaffolds instruction of each concept and continues to review information introduced earlier. This allows students the time and practice to retain math concepts to the level of mastery. Used in grades 4-8.